The Magic Yarn project is a Palmer, Alaska-based non-profit. 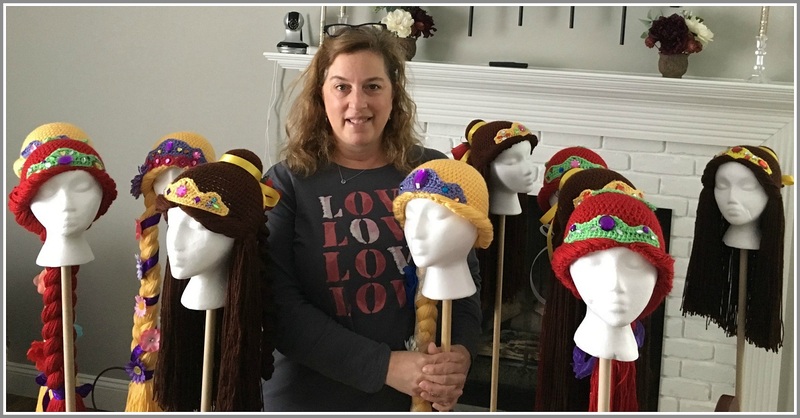 Volunteers crochet and decorate yarn wigs inspired by Disney characters, for children battling cancer. They’re comfy and soft — perfect for kids whose scalps are too sensitive for traditional wigs. Recently, Linda Jonas (above) hosted 20 volunteers, at the Westport Library. They created 15 wigs. The weather outside was cold. But it was one of the warmest events of the year. To learn more about the project, email ljonas81@optonline.net. This entry was posted in Pic of the Day and tagged Linda Jones, Magic Yarn project. Bookmark the permalink.